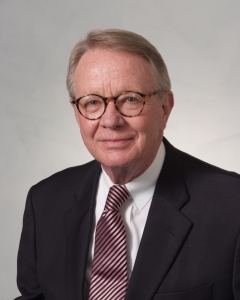 David A. Nash is Professor Emeritus at the University of Kentucky, where he was the William R. Willard Professor of Dental Education in the College of Dentistry and Professor of Pediatric Dentistry until his retirement in 2018. He held joint appointments as Professor of Behavioral Science in the College of Medicine, and Professor of Public Health Ethics in the College of Public Health. A graduate of the College of Dentistry at Kentucky in 1968, Nash completed post-doctoral specialty education in Pediatric Dentistry at the University of Iowa. He has also earned a doctorate in Higher Education Administration. Prior to returning to Kentucky is 1987 as Dean of the College of Dentistry, he held teaching positions in Pediatric Dentistry at Louisiana State University and West Virginia University. Nash served as Dean of the UK College of Dentistry from 1987-1997, subsequent to which he returned to the faculty to teach Professional Ethics and Pediatric Dentistry. He is the author of over 150 publications in the literature of dentistry. In 1992, Nash established what is thought to be the first comprehensive Professional Ethics curriculum in American dental schools. He served as professor for each of the courses in the curriculum until retirement. In 1994, he led in the establishment of the University of Kentucky Hospital Ethics Committee and served as it chair until 2005. He has also addressed the issue of ethics in the profession of dentistry at a number of national forums, and has written frequently on the topic in a variety of journals. In 1995, in an address at the University of Rochester School of Medicine and Dentistry, he reintroduced the concept of educating dentist as physicians of the oral complex (Oral Physicians), a concept that had originally been debated in preparing the Carnegie Commission’s Report on Dental Education in the United States and Canada in 1926—the so-called Gies Report. Subsequently, he has advocated for integrating the education of dentists with that of physicians. Nash is known for his leadership in advocating for change in the oral health workforce, by introducing a new member of the dental team, a pediatric oral health therapist (dental therapist). School-based dental therapists practicing in New Zealand and internationally, had historically resulted in significant improvements in access to oral health care for children. His advocacy helped lead to the introduction of dental therapists caring for Native Alaskans; more recently the movement has spread to additional states. Nash’s major publications are in the Journal of the American Dental Association, the journal Pediatric Dentistry, the Journal of Dental Education, and theJournal of Public Health Dentistry. He has served as a visiting professor at over one-half of the Nation’s dental schools. He has been a frequent speaker at sessions of professional organizations and associations. Nash is a board-certified pediatric dentist and has served as a member of the Board of Directors of the American Academy of Pediatric Dentistry, and as President of the College of Diplomates in Pediatric Dentistry. While on the Board of Directors he introduced the idea of changing the name for the Academy from Pedodontics to Pediatric Dentistry. He has served as Supreme Chapter President of Omicron Kappa Upsilon, the national honor society of dentistry. He has also been inducted into Phi Delta Kappa, the national education honorary, and Omicron Kappa Delta, the national leadership honorary. In 1999, the American Student Dental Association named him one of its twenty-five “visionaries” in American dentistry. He has been acknowledged by students with several outstanding teaching awards.